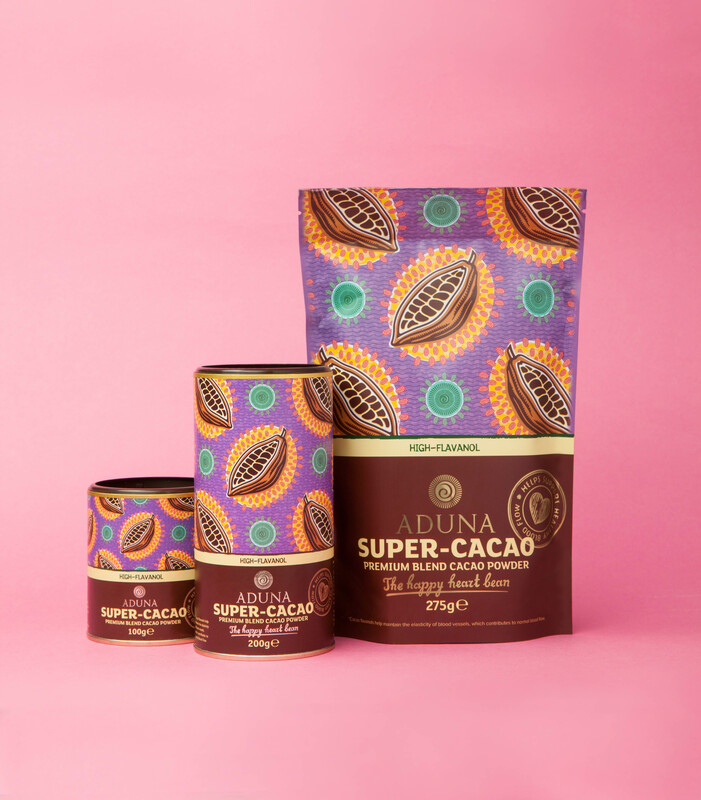 I am so excited to report that Aduna, one of my favourite superfood brands, have now launched their very own ‘Super-Cacao’ powder. Not only do I love this brand already, but I’m a big big fan of cacao and regularly use it in recipes to satisfy my chocolate cravings. If it couldn’t get any better, Aduna’s cacao is the FIRST cacao to be backed with an EU-approved health claim for heart health. This powder could not have been sent to me at a better time as after two terrible weeks of unhealthy eating over the Christmas period, I have now stopped eating any regular sugar filled chocolate. Before this I was only consuming choccie as a treat on a Friday night, but now I’m not bothering at all. There really is no need to eat any bad for you choccie when there are so many exciting choc filled recipes to be made with heart healthy cacao powder! So, what’s different about Aduna’s cacao powder compared to other brands? The first thing I did with my cacao powder was to make me and Bella a ‘healthy’ chocolate and banana milkshake. Using my small NutriNinja cup I blended one and a half bananas with two teaspoons of Aduna cacao powder and oat ‘milk’ up to the line. So simple, quick, easy, nutritious and delicious! For a luxurious hot choccie mix two teaspoons with a touch of warm water and teaspoon of coconut oil, then top up with more hot water whilst stirring. It tastes so naughty, but is actually so good! There are more cacao recipes in my blog and you can also find some great ideas in the Aduna website recipe section. Have you tried cacao powder? What are your favourite ways to use it?